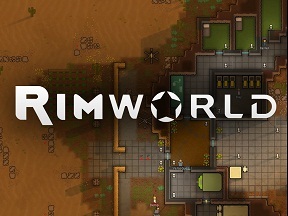 In RimWorld, you have already taken the first steps in the new environment and even built building. Then it is time to do something long term for the storage of your food. It is advice to build refrigerators and freezers to keep your food and medicine for longer. With these cold rooms there are different freezing stages. Some foods don’t require as low temperatures and other demand for a self-made ice or freezer. If you let your hard-earned food just lying around then they go bad very quickly. The only exception to this is an arctic biome. Due to the low outside temperature, the food lasts substantially longer. In general you should consider the following points and tips in constructing of refrigerators and freezers. - Too many doors let a lot of heat draw in the cooling chambers and this is not good for the temperatures. Therefore, build only one door. - If possible builds a fridge, which can later be connected to the freezer. * Build the door of the freezer in the direction of the refrigerator. * Thereby it further reduces the incoming heat. * Also you can separate items that you want to access quickly and often from those that are rarely used. - A double air conditioning keeps the temperature better in check. * The larger the room, the more air conditioning is needed. - Add your fridge an orbital signal so that you can also sell your food. - You can also cool Medicine. Food that is exposed to temperature of 2 ° Celsius is given the status cooled. This increases food deteriorates time. Simply build a room and provide air conditioning. You can find this under the temperature Tab. Sort best multiple cooling chambers on the respective items. Keep Medicine and food in the freezer to prevent become spoil. To freeze food you need a temperature of 0 ° Celsius. However, we recommend you, particularly in warm areas, a temperature of -4 ° to compensate for any fluctuations. I met Mr. Pillay from Fridgerepairsjohannesburg.com and he helped me knowing preventive steps to save the refrigerator from damages, and I stopped opening my fridge for longer durations without switching off the power button, because it actually helps protecting the compressor.